Daniel Lopatin (b. 1982) is an experimental musician, composer and producer, born in USA in the family of Soviet immigrants. 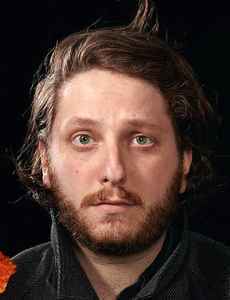 His best known project is Oneohtrix Point Never (active since 2007), Lopatin is also considered to be one of the key figures in the development of the vaporwave genre and scene, after he released Chuck Person's Eccojams Vol. 1 in 2010 under the moniker Chuck Person. Daniel also runs the record label Software Records (subsidiary of Mexican Summer). Lopatin collaborated on record with Joel Ford of Tigercity (together they released albums and EPs under Ford & Lopatin and Games (3) aliases), Vinnie Paternostro, Taylor Richardson, Mark McGuire (2) (ex-member of Emeralds), Tim Hecker, James Ferraro and others. He also wrote the score for The Bling Ring movie together with Brian Reitzell in 2013.